Thanks to various disasters and other catastrophes that have struck Tokyo over the years, it's hard to find much in the city that is even a century old, much less dating from the Edo Period (1603-1868). Fortunately, many of Tokyo's historical features that still exist are now being carefully preserved. 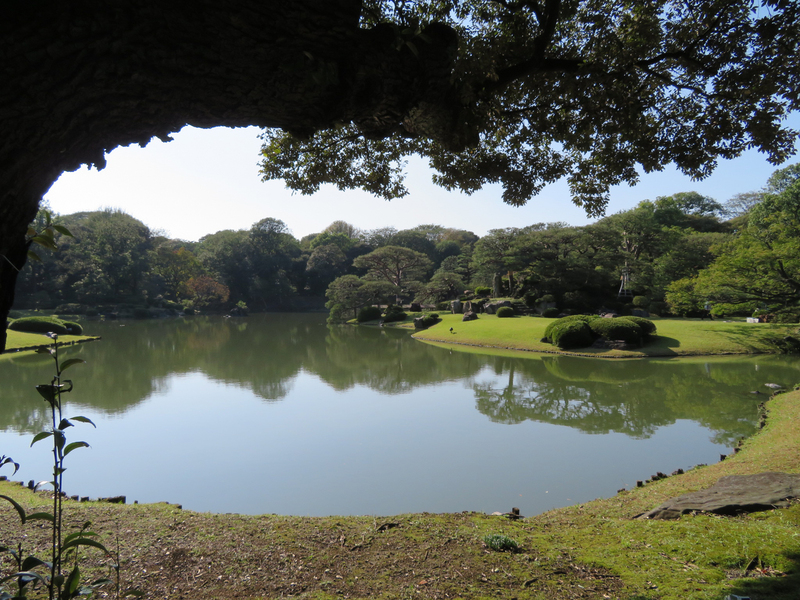 At the same, it's interesting to think that one of Tokyo's well-known Edo Period features is still growing: Rikugien Garden. 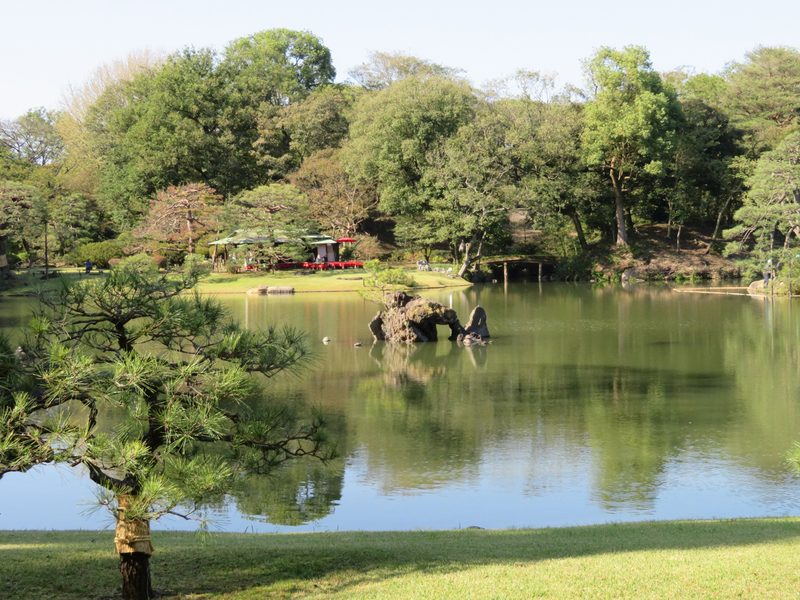 Thanks to Tokyo's temperate climate, one particularly pleasant aspect of Rikugien --and Tokyo's other historical gardens as well -- is that seasonal changes add to the color and texture of any visit. In this autumn season, it's all about the leaves. Rikugien is home to a number of deciduous trees, including cherry, maple, and zelkova, that give us a broad palette of colors ranging from yellow, gold and amber to russet, red and brown: all the colors we associate with autumn. And Rikugien, which normally closes at 5 p.m., particularly celebrates these colors by opening until 9 p.m. (last entry 8:30 p.m.) from mid-November to early December and illuminating the most spectacular portions of the garden, giving visitors a completely different perspective. Rikugien was completed in 1702 by Yanagisawa Yoshiyasu, a daimyo from the Nara area whose family is also famous for developing goldfish cultivation in Japan, an industry still prevalent in Yamatokoriyama, just south of Nara. Thanks to the garden's acquisition in 1878 by Iwasaki Yataro, founder of the Mitsubishi conglomerate, it survived Tokyo's modernization. A spacious garden of about 8.75 hectares, most of its original design and distinctive features, including a central pond and a number of man-made hills, have been retained to this day. 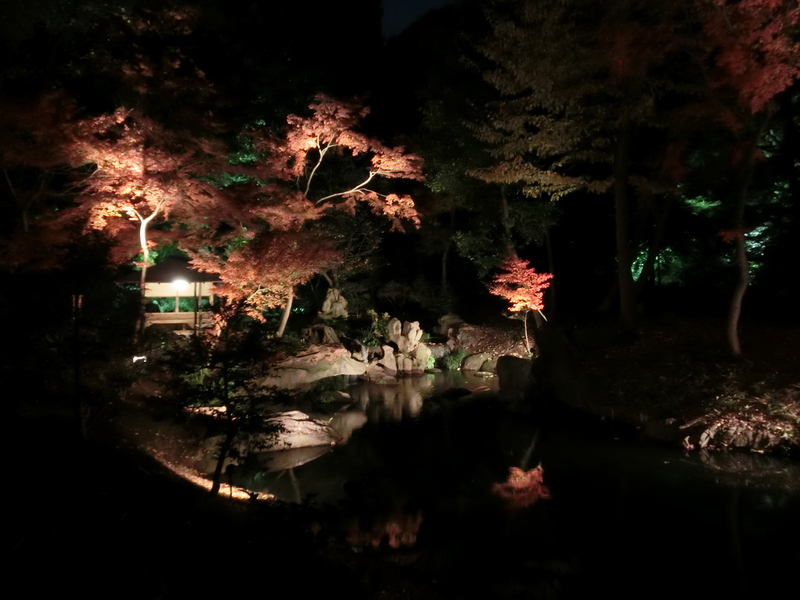 Of course, one could simply visit Rikugien after dark to see the illuminated trees. They are beautiful and such a visit is extremely satisfying. But to really appreciate the illumination, it's valuable to visit in the daylight to become familiar with the themes and layout of the garden. So why not consider taking a little more time and having a much more in-depth experience of autumn leaves? As long as you're focusing on leaves and are in the neighborhood, start your exploration with a look at the leaves of books also in the autumn of their lives. Yes, you read right. 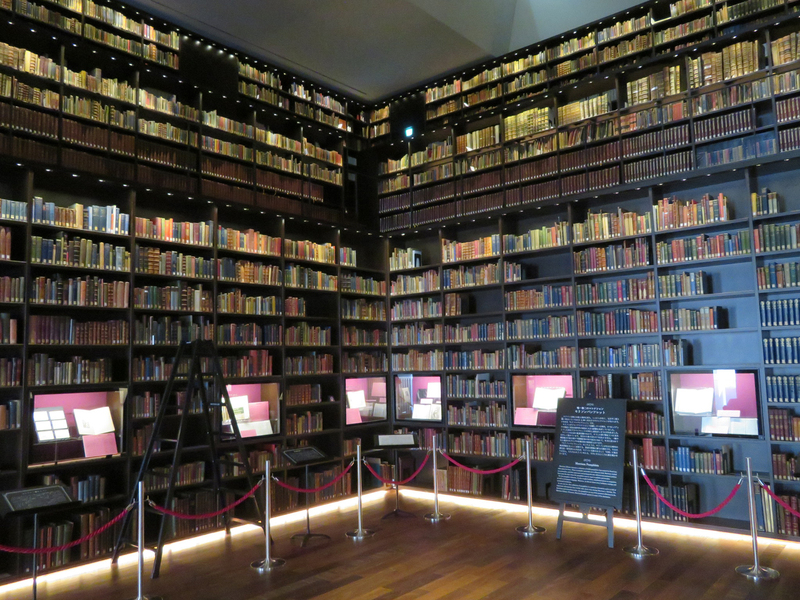 Just a block from Rikugien is Toyo Bunko -- the Oriental Library -- which is home to a most amazing collection of vintage and antique books on Asia, in fact, the largest collection of books and materials on Asia in Japan. 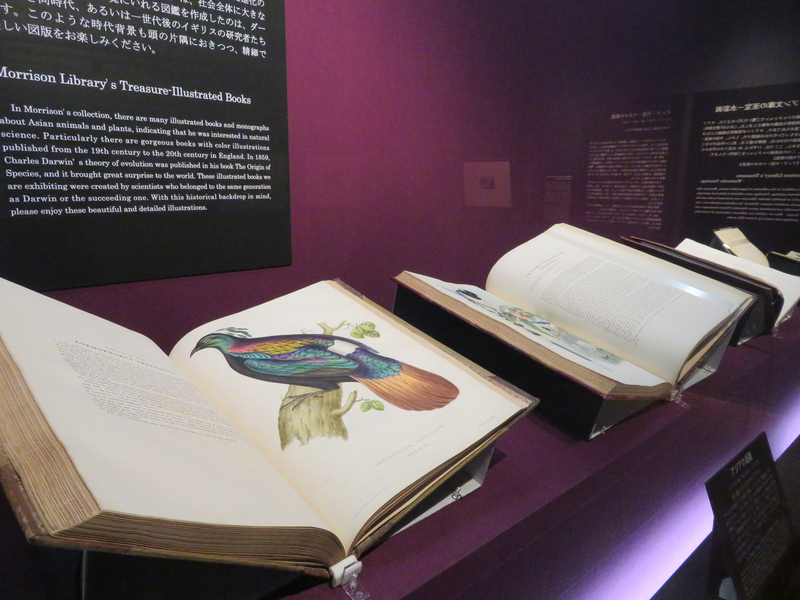 Now through Jan 8, 2018, in commemoration of the centenary of the Morrison Collection's arrival in Japan, Toyo Bunko has a special exhibition entitled "The Travels of Marco Polo and the Morrison Collection", featuring Morrison's 45 copies of "The Travels" (in several languages), the oldest ones dating back to the 15th century. Also on display are ancient Chinese texts, a 1686 Nurnberg Bible, and a number of copperplate prints and antique maps. Toyo Bunko is a 7-minute walk from Sengoku Station and an 8-minute walk from Komagome Station. Open 10 a.m. to 7 p.m. Wednesday through Monday. Admission: 900 yen. A combination ticket to visit Toyo Bunko and Rikugien is available for 1,000 yen (save 200 yen). Having enjoyed the leaves of these wonderful books, now make your way to Rikugien. While the garden's main gate is actually on the south side, nearest to Toyo Bunko, during the period of the illumination (Nov 18 to Dec 6), entry is through the original gate, in the northeast corner near Komagome Station. Time your visit to arrive around 3:30, to give yourself time to see the garden before the sun goes down. 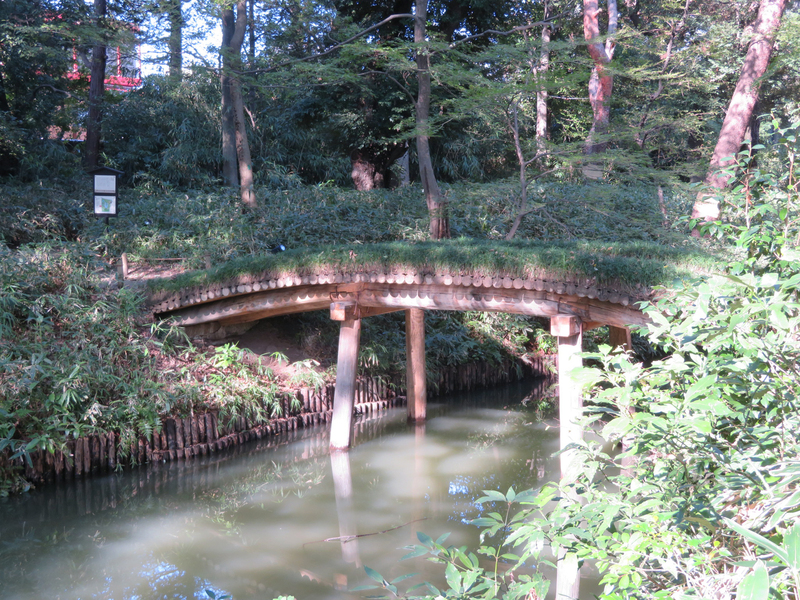 Stop perhaps to enjoy traditional green tea and a sweet at Fukiage Chaya, the tea house on the pond (510 yen). The garden is designed to be perambulated on a circle route. It is said that the outer circuit (also the course open during the illumination) can be completed in an hour. There are two concentric routes, with lots of side trails and short cuts between them, offering plenty of opportunities for whimsical meandering as you go. Rustic pavilions called tea houses, a small waterfall, and both stone and wooden bridges are among the features you will enjoy. Aficionados of Japanese literature will appreciate that the garden is designed to reflect the six categories of Japanese waka-style poetry and recreates 88 scenes described in classical Chinese literature. For those of us not so familiar with these texts, signposts are helpfully placed around the garden to identify the scenes depicted. If you leave the garden, you'll have to purchase another entry ticket (and ticket lines on sunset can be quite long, although they move quickly). So instead, find yourself a cozy bench on which to relax while the darkness deepens until the illumination is turned on, and then wander through the garden again to see it, quite literally, in a different light. Vicki L Beyer, a regular Japan Today contributor, is a free lance travel writer who also blogs about traveling in Japan. Visit her blog at jigsaw-japan.com.